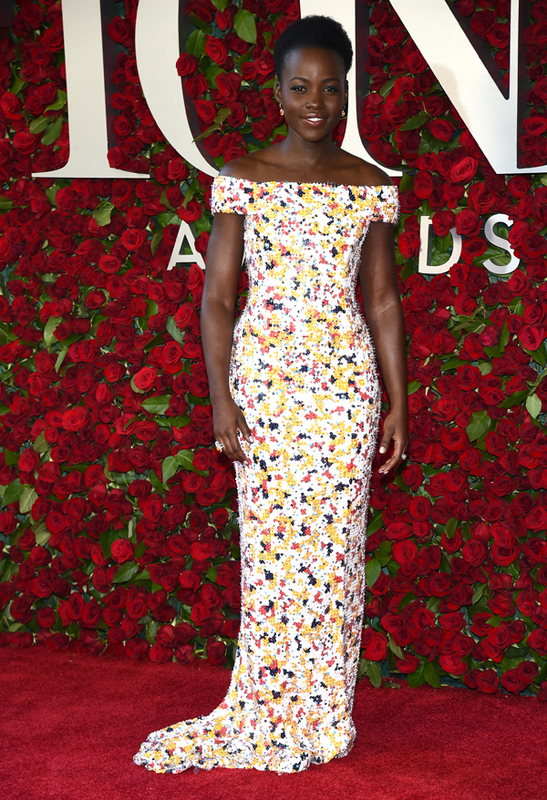 Oscar winning actress Lupita Nyong'o attended the 2016 Tony Awards held in New York, and wore a floral Hugo Boss creation. Lupita looked statuesque and sophisticated in her floral motif off-shoulder creation, that was encrusted with sequins to give the look of flower petals. The custom made gown featured cutouts at the back and put Lupita's physique on show, and also had a small train which grazed the floor. Lupita completed the look with yellow drop earrings and a coral glossy lip.